Your right to own fish is at risk. 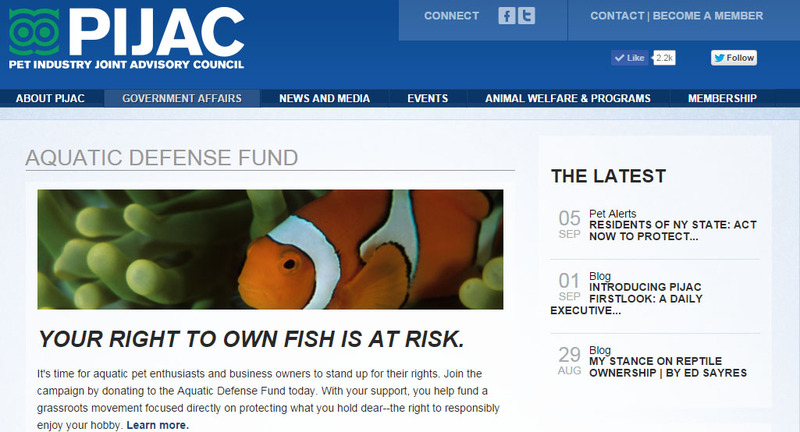 It’s time for aquatic pet enthusiasts and business owners to stand up for their rights. Join the campaign by donating to the Aquatic Defense Fund today. With your support, you help fund a grassroots movement focused directly on protecting what you hold dear–the right to responsibly enjoy your hobby. Learn more.